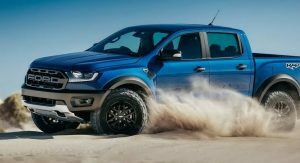 Australian customers will be required to cough up at least $74,990 ($57,457 USD) to pick up the brand new Ford Ranger Raptor. 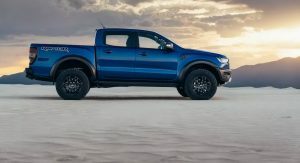 Despite what we had hoped, the Ranger Raptor doesn’t receive the twin-turbo EcoBoost V6 engine of the larger F-150 Raptor. Instead, the pickup (ute in Australia), makes do with a 2.0-liter twin-turbo four-cylinder diesel that delivers 210 hp and 369 lb-ft (500 Nm) of torque. Power is funneled to all four wheels through a 10-speed automatic transmission co-developed by Ford and GM. 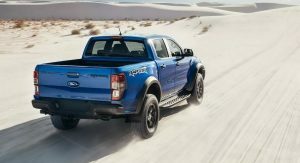 The Ranger Raptor is also differentiated from lesser Ranger variants thanks to the Fox suspension with rear coilovers, 17-inch wheels with BF Goodrich all-terrain tires, underbody protection, and 332 mm front and rear brake discs. A poor man’s Ford F-150 Raptor? 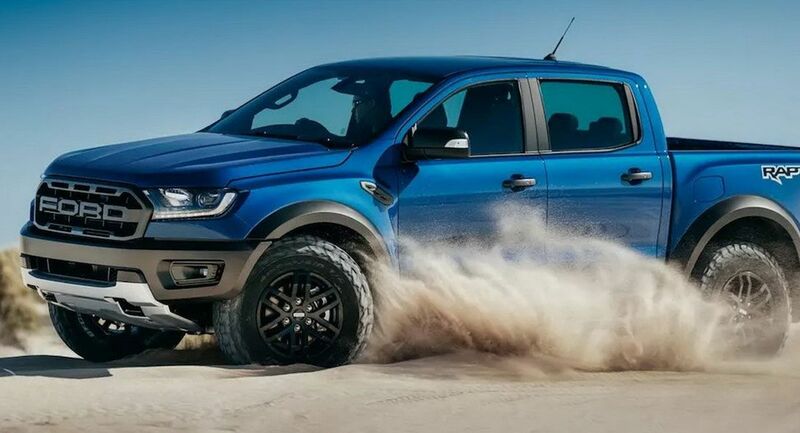 Additionally, the Ranger Raptor looks a lot meaner than the rest of the range. 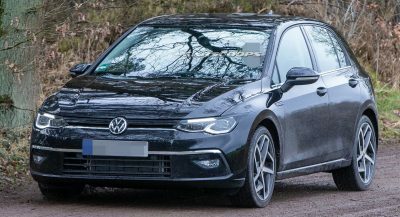 For example, a blacked-out grille comes standard, as does an aggressive front bumper and small fog lights. Typical ‘Raptor’ stickers and badges also adorn the pickup, while flared wheel arches at the front and rear help to top things off. Thanks to a ride height of 283 mm (11.14 inches), the Ranger Raptor has an approach angle of 32.5°, ramp over angle of 24°, and departure angle of 24°. All up, the pickup is 1,873 mm (73.7 in) tall, 2,180 mm (85.8 in) wide, and 5,398 mm (212.5 in) long. Despite Australia’s love of such vehicles, the Ranger Raptor doesn’t have any direct rivals. A step down in the market reveals players like the Toyota Hilux TRD and Volkswagen Amarok V6 Ultimate, but neither of these two have the same off-road focused components. Even more expensive than F-150 Raptor in the US. Why the price of cars outside the US are so expensive? 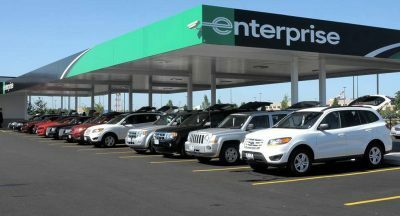 Or why the price of a cars in the US is cheaper than anywhere else? because most of the countries have sky high taxes on cars. 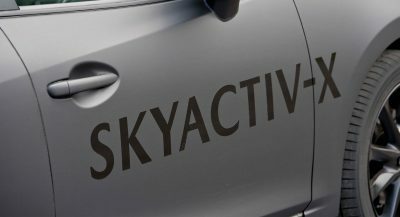 instead of making new car brand,they do invent taxes. Do you know how much tax is burdened by the US government to the car makers? my point is taxes on cars. it causes mostly higher prices in the world compare to US. The F150 Raptor starts at just over $50K in the US market. Heck, even the base price of the SuperCrew Raptor is cheaper. 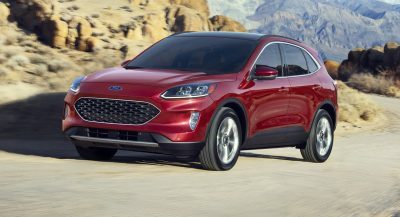 It’ll be interesting to see what Ford does. That does sound expensive, not sure how much is ute usually sells in Australia but 74k AUD sounds excessive for me. Most of the popular utes here are overpriced, the top spec models are up around the AUD60-70K mark, so I’m not at all surprised at the pricing of this, some media outlets here had even predicted it was going to be higher…..
For comparison, the Mustang GT and Focus RS are about AUD60K for us…. Its also worth noting that our minimum wages are fairly high at about AUD40K per year or AUD20 per hr…. Everyone is misunderstanding how different markets work, and not everything is the same as the US market. The 4×4 market in Australia is getting bigger every year, and only in the last 2 years have they become the number one selling vehicle. Our dollar value differs from the US, and we have different taxes that especially affect high end vehicles. This Raptor is only about $6k above the next tier Ranger Wildtrak, but when you factor in the upgrades, new engine & gearbox combination, and body work, it’s not a huge margin. These will sell quite well I believe. I don’t agree with [any of] your numbers. Do you really expect the Ranger Raptor to sell for twice what the F150 Raptor does? Where are you get your numbers from? It would be priced under a F150 Raptor for sure. Too pricy. If I lived in Australia I’d tell Ford to give the Ranger Raptor a gas powered option too.